Penthouses with 2 bedrooms, 2 bathrooms and a terrace located in a 3-storey complex, only 300 meters from stunning sandy beaches.. . You will enjoy a large outdoor swimming pool (+a children's pool) and a flowered garden where you can relax under the sun. Surrounded by a natural reserve, the residence is located in a quiet environment close to all services.. . A parking and a storeroom are included in the price. . . (Photos of SHOW FLAT. Furniture pack is optional) - RESERVE YOURS NOW!. . OPPORTUNITY FOR YOUR HOLIDAYS OR AS AN INVESTMENT! 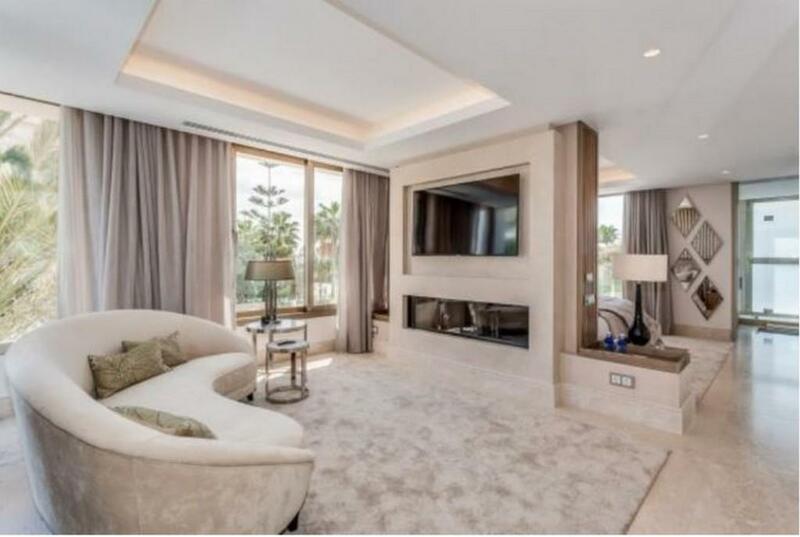 Nueva Andalucia/Banus, REDUCED from 220k,open to offers MUST SELL!...a great price for this cozy apartment with swimming pool views located within walking distance to Puerto Banus and the beach. The apartment features a fully fitted kitchen, 2 bedrooms with fitted wardrobes, a shared bathroom, a living room with direct access to a west facing terrace (afternoon sun), both bedrooms are facing west too. The development features a nice swmming pool and green area. An underground parking space and storage room are included in the price. The location is great, 3 minutes from Banus, with very easy access to the A7 and a bus stop is located around the corner. restaurants and shops within a 5 minute walk. Great property as a holiday home or to rent out. 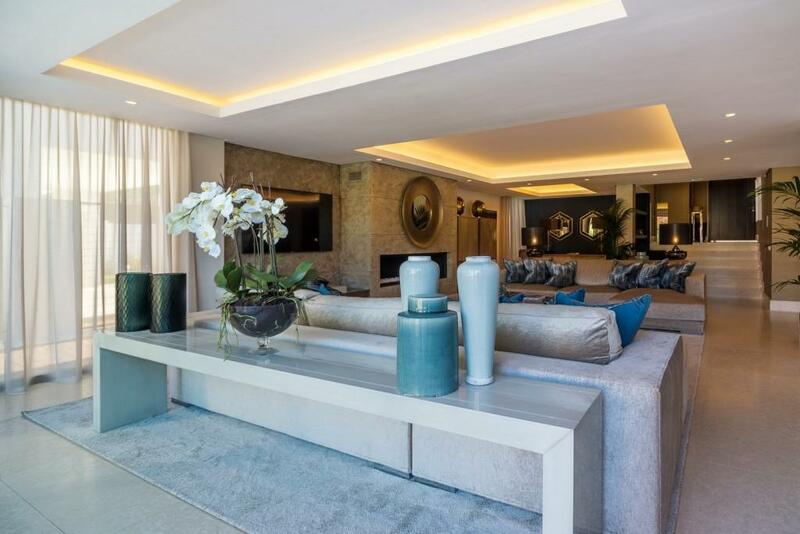 Before 350,000 euros, Next to Puerto Banus, Charming penthouse for sale in with sea views. A great gated community (security cameras) next to Puerto Banus and only 10 minutes drive from Marbella Centre. Located a short distance from restaurants, bus stops, Casino, bars and many amenities without losing the tranquility of living in a gated complex. Consisting of 3 bedrooms with dressing room and 2 bathrooms, fully fitted kitchen, flooring, air conditioning, garage and storeroom. The south facing apartment has a beautiful terrace of 45 m2 with sea views to enjoy pleasant evenings with family or friends. The urbanization also has a nice swimming pool and communal garden. Perfect as a second home or investment due to the very high demand for area. ALBATROS HILLS, NUEVA ANDALUCIA Stunning spacious three bedroom apartment (converted from 2 bedrooms). South facing with breathtaking views over the valley, mountain and sea. Modern property with large lovely rooms. The open plan kitchen/living room is a great size with a charming fireplace. The bathrooms are marble tiled which gives them a timeless sophisticated finish. It is set within a wonderful gated complex with the best facilities, including 1 indoor swimming pool, 3 outdoor swimming pools, gym, sauna, tennis court, and gorgeous gardens. The apartment has two double bedrooms with en suite bathrooms, one double bedroom with en suite shower room and laundry, and a guest toilet. Lovely villa walking distance to the beach, golf and amenities with private pool and garden. The property is in exellent condition and comprises five bedrooms and four bathrooms. In the ground floor,: entrance hall, fully fitted kitchen, living room with office area giving you access to the terrace, three bedroom and two bathrooms, Upper floor: Two bedrooms en-suite (both with private terrace). The property comes with carport for two vehicles. Just a short drive to San Pedro de Alcántara abd Puerto Banús. Nice and spacious 3 bedroom apartmetn with an open concept kitchen. The apartment has been refurbished recently and is very well presented. 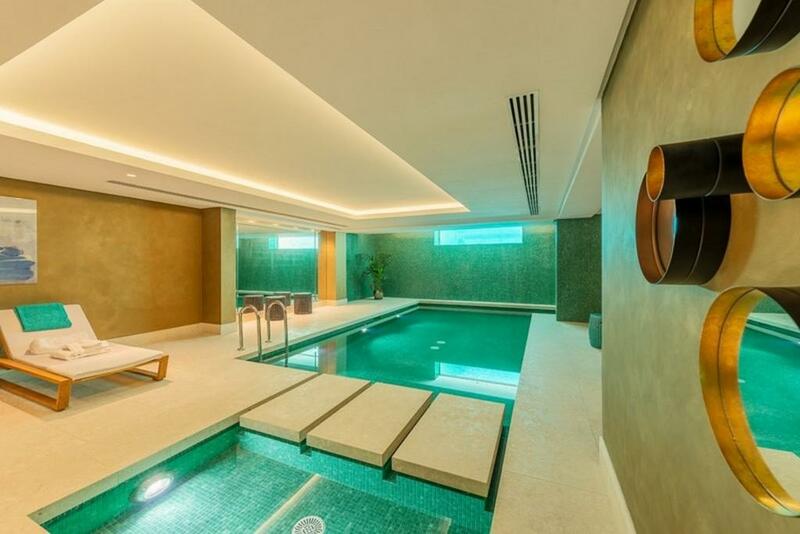 It is located inside a complex with 2 swimming pools, mature gardens and 24 hrs security. 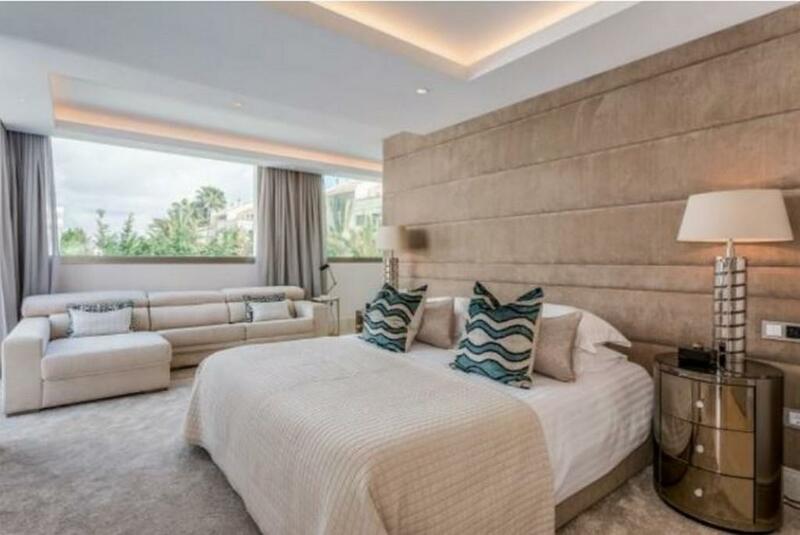 It is located very close to Puerto Banus, in a quiet residential area with proximity to shops, restaurants and bars. Included in the price there is a storage room and underground parking. The best new build high end luxury villas, beachside on the golden mile currently on the market. Villa 1 now with outstanding decor and furnishings as well as an integral landscaping project surrounding the perimeter for privacy and security, second line beach. The high-end construction with premium installations throughout includes 5 ensuite bedrooms, private plot/pool, indoor pool, and fully integrated spa area. Location is second to none, these are the only new villa projects available at the moment, beachside on the golden mile. Must be seen to be truly appreciated! Villa, Beachside, Furnished, Fitted Kitchen, Pool: Private, Garden: Private, Facing: South Views: Garden, Partial Sea, Pool, Surrounds. 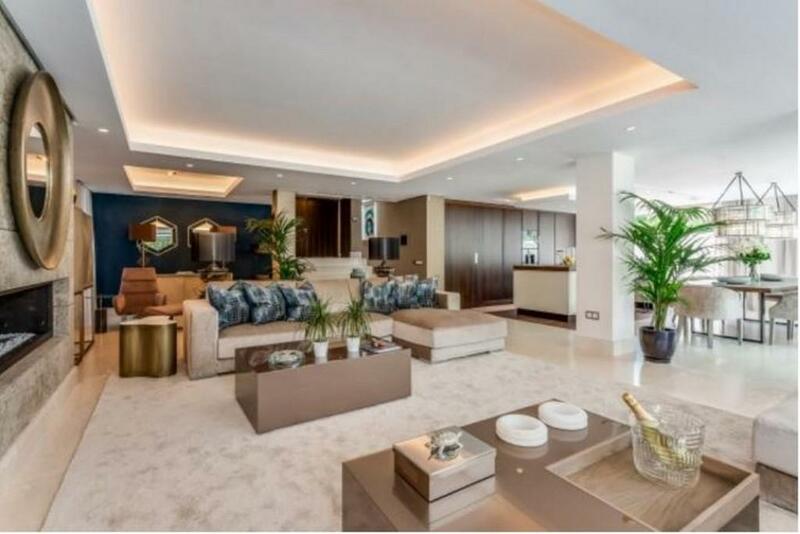 Features Air Conditioning Hot/Cold, Alarm System, Fitted Kitchen, Furnished, Garden, Heated Indoor Pool, Intelligence System, Lift, Marble Floors, Pantry, Private pool, Sauna, Spa, Terrace, Underfloor heating throughout, Wine Cellar. Be the first one to see: create an alert on new properties in Andalusia and you'll receive new offers by email. Turn to the experts: contact real estate agencies in Andalusia. Prices are going down in the areas: Cádiz, Córdoba, Málaga.